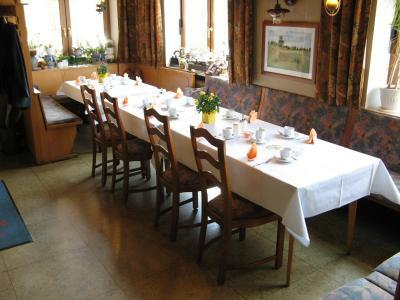 Lock in a great price for Restaurant - Pension Herrgottstal – rated 8.3 by recent guests! Friendly owner, very nice and helpful, excellent English. 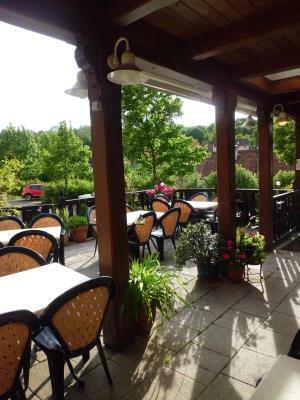 Nice staff, great breakfast, and good quality rooms with a good location to walk around the town. 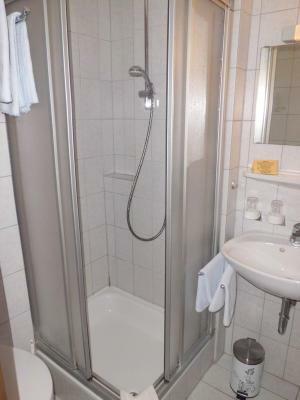 Not every room with bath inside,many rooms use public bathroom for shower and toilet. 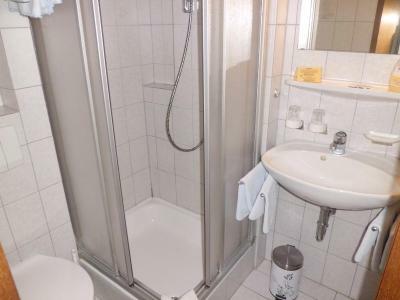 Those rooms with bath provides no soap or shower gel, shampoo. You need to bring your own stuffs. Very friendly proprietor. Basic but clean and comfortable facilities. Excellent food at breakfast and in the morning. Altogether a pleasant stay. The breakfast was excellent. Room was comfortable, the management was friendly and helpful. This hotel was incredible value. It is excellently placed for touring the Romantic Road and is close to the marvellous Creglingen Church with its historic altars. Parking is good with secure lock up garage for cyclists and motorcyclists. the breakfast was very delicious and in a lovely dining room ,i cannot fault the place . Breakfast was plenty and good. The location is quiet. 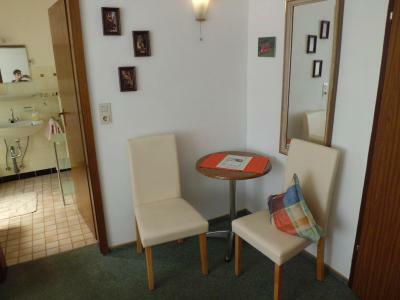 Schönes großes Appartement, prima Frühstück, Bestlage zum Riemenschneider-Altar und zum Ortszentrum. Frühstück war sehr gut. Einrichtung etwas in die Jahre gekommen, aber okay. ein älteres Haus, aber liebevoll Eingerichtet; alles ein bisschen "verlebt", aber absolut sauber; liegt zentral, aber Creglingen ist nicht so gross, beinahe alles liegt "zentral", so dass es zu Fuss leicht zu erreichen ist. Offering immediate access to the Taubertal bike route, this country-style guest house boasts a peaceful location in Creglingen, a village near the idyllic town of Rothenburg ob der Tauber. Make yourself at home in the cozily furnished rooms and friendly atmosphere. Cyclists are particularly welcome. Take advantage of the guest house’s secure bike storage facilities. The picturesque Taubertal bike route awaits you at your doorstep. Swimming, horseback riding, mini golf and fishing are some of the other pursuits you can enjoy in the area. After an active day outdoors, treat yourself to the restaurant’s hearty German cuisine. Your cozy bed promises a good night’s rest. 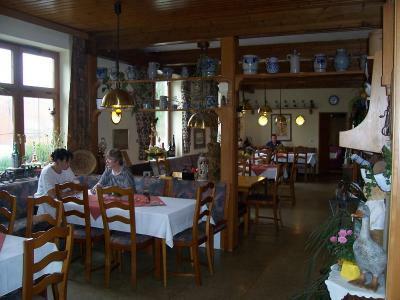 When would you like to stay at Restaurant - Pension Herrgottstal? House Rules Restaurant - Pension Herrgottstal takes special requests – add in the next step! Restaurant - Pension Herrgottstal accepts these cards and reserves the right to temporarily hold an amount prior to arrival. Pets cost EUR 2 per day each. Price with such a wonderful breakfast, it'd absolutely worthwhile for a stay. Owner couple Peter and Monica are terrific, nice and friendly to everyone who stays in. They always try to help whenever there is any query from you. The décor in the rooms has seen better days. I arrived on a Wednesday evening and the restaurant was closed. Trouble understanding how to check in to the room. Since the restaurant was closed, we walked around till we found a side doorbell. Eventually the staff came to meet us outside. This was likely just due to it being the off season. bed was a bit squeaky, but thats not really an issue.